Our Raw Challenge Gold Coast facility covers 150acres of farm land and forests. Every event we are trying to change the flow of the course and always improve and keep it fun and challenging. We have 2 courses. A adult course which covers the full 150acres and is 9klms in length with 60plus obstacles and a 4 klm kids course with 40 obstacles. Get in early for the best deal! Take the challenge to the next level with our competitive category (Adults only). The competition starts at 7:30am, with cash prizes (and a lifetime glory) for the top places. For ages 11+. Non-competitive, but don’t let that stop you from breaking records! The Numinbah Valley is a valley along the South East of the Gold Coast! A perfect location for new and conditioned Challengers! Featuring fantastic tracks around mountain, rainforest and river scenery! You are sure to get the experience of a lifetime. 2201 Nerang-Murwillumbah Road Numinbah Valley. Qld 4211. I forgot my account password and when i click it to get a email sent i don’t receive it!!!!!!!! There is a good chance it’s in your junk / spam folder. 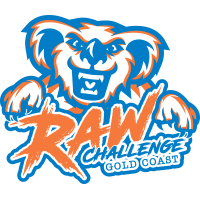 If its not there email us at info@rawchallengeqld.com.au and we will provide you with a temporary one. Your tickets are emailed out to the person who placed the order on completion of checkout. If they are not in your inbox please check you spam / junk folder. The Youth Wave is a separate course, approximately 3 km to 4 km having 15 to 20 obstacles. This course is for challengers aged 7 to 10 years old. A dedicated parent or (guardian, who is over 18 years old), may supervise from 1 to 4 youths. They MUST supervise the youths over the ENTIRE youth wave course. All competitors and adults in the youth wave course must wear a youth wave wristband or they WILL be removed from the course. Youth found running unaccompanied, WILL also be removed from participating in the course . All parents/guardians running in this youth wave MUST purchase a youth wave ticket, REGARDLESS of already running a different wave on the day as it is considered to be a separate course. This course is not a multiple lap course. It is the supervising adult’s responsibility to ensure that the young person in their control is capable of safely performing each task and complying with all directions and course route. Any obstacle may be bypassed at the parent’s discretion. Participants must be at least 11 years of age to participate in a adult wave. Children aged between 7 and 10 can run a shortened course when accompanied by a supervising adult. Important! For insurance purposes, ID will be checked for everyone (including under 18’s) participating in the main event. Spectators are welcome to come along and hang out around the start / finish area free of charge or they can purchase a spectators ticket to allow them to walk around the course. If at anytime a spectator tries to do any obstacle they will be removed from the facility. All spectators must sign a waiver before being allowed entry. 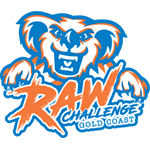 To transfer a ticket, simply log in to your Account panel https://tickets.rawchallengeqld.com.au/my-account using the email and password that was used to make the order. In your account you can edit the attendee details, wave times and team. Yes, however like all adventure style challenges there are risks associated with this style of event and all participants will need to sign a waiver form prior to taking part. Download the waiver here. First Aid personnel will be present on day of the event. It is recommended that you hold your own personal accident and ambulance cover. If Participants do not feel comfortable with any obstacle they should choose to bypass them. No, sorry we cannot issue refunds under any circumstances. If the event has to be cancelled due to natural disaster, acts of God, terrorism, war or any other reason deemed reasonable by the event organizers, the event will be re-scheduled where possible. No refunds will be issued, however the credit will be transferred to the new event if a medical certificate can be provided.